Are you searching for a Norcross roofing company you can trust? 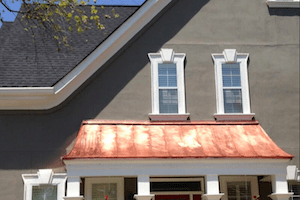 At Hopewell Roofing & Restoration, we’ve been helping property owners throughout the Atlanta-Sandy Springs-Marietta metropolitan area since 2009. Benefit from our extensive experience while taking comfort in our reputation for competent, professional work. Installing or replacing a roof is one of the biggest investments a property owner will make. A new roof can cost upward of $30,000 for a roof made with asphalt shingles. Tile roofing and other luxury materials significantly increase the costs. It’s important to make sure you’re working with the right roofing contractor. A professional has the skills, tools and materials to put your money to work. A professional roofing company in Norcross will also have the credentials and protections in place to cover your liability if something goes wrong. Is it licensed? Insured? Make sure before work begins. Contracts for large jobs are essential, even when working with an established company with a good reputation. Contracts protect every person involved in a big-ticket job. They also provide pertinent details about building materials and warranties should you have problems with your roof down the road. Hopewell Roofing & Restoration has some advantages you won’t find among other Norcross-area service providers. We are among the only two percent of roofing professionals in the U.S. that have GAF Master Elite status. GAF is the leading manufacturer of roofing tiles in the world and carries the top products on the market today. Working with a Master Elite service provider gives you access to the best materials available. We also have some of the choicest warranty features of any roofing company in the area. These agreements protect your sizeable investment. Don’t do without it! Norcross property owners have easy access to a leading roofing company in the region. Maximize those benefits by checking out all Hopewell Roofing & Restoration has to offer. Along with roofing replacement and repair, we carry top-quality gutter systems, offer drone inspections and install attic-level venting. In addition, Hopewell is one of the few companies in the area capable of helping homeowners dealing with the discontinuation of Atlas Chalet shingles in obtaining a full-roof replacement paid for by the insurance company. 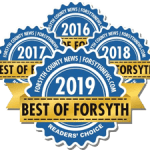 Regardless of the size of a roofing job – whether you need to replace one missing single or repair a leak fast – there’s only one sure-fire bet in the Atlanta-Sandy Springs-Marietta metropolitan area. Don’t waste any time getting in touch today. The next time you need a trusted, affordable Norcross roofing company, contact our team of experts at Hopewell Roofing & Restoration. Our reputation depends on your long-term satisfaction, so you can count on us to meet your roofing needs with excellence.